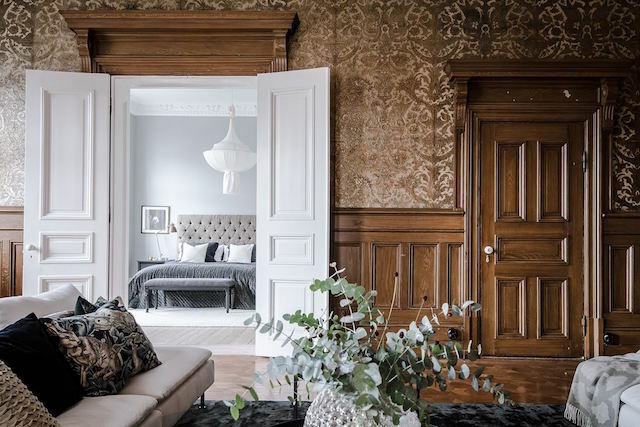 My jaw-dropped when I stumbled upon this Swedish apartment. The space is simply incredible. 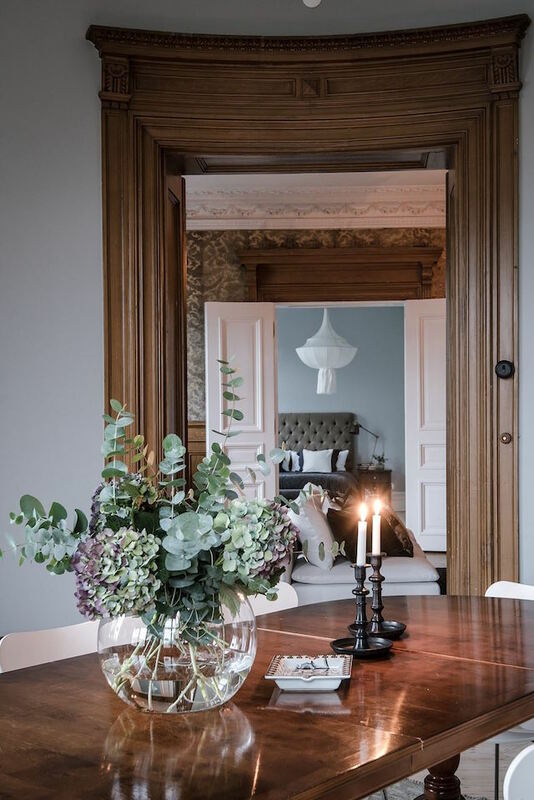 Vintage wallpaper from times gone by, wooden wainscoting, parquet floor and period features serve as a striking back drop for contemporary furniture in the sitting room and dining room. 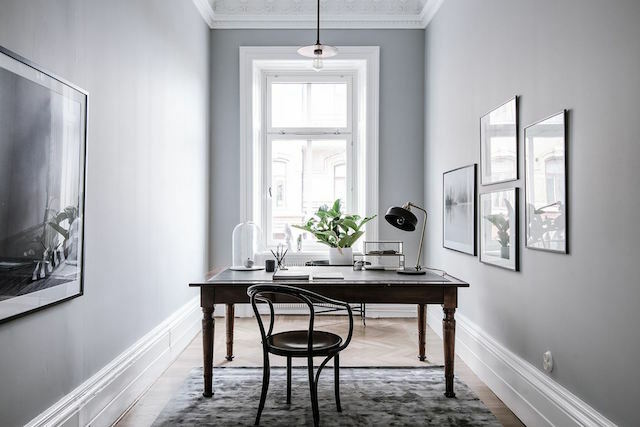 The bedroom and office have been given a modern lease of life in light grey and white, bringing the space bang up to date. Could you imagine living somewhere like this?! 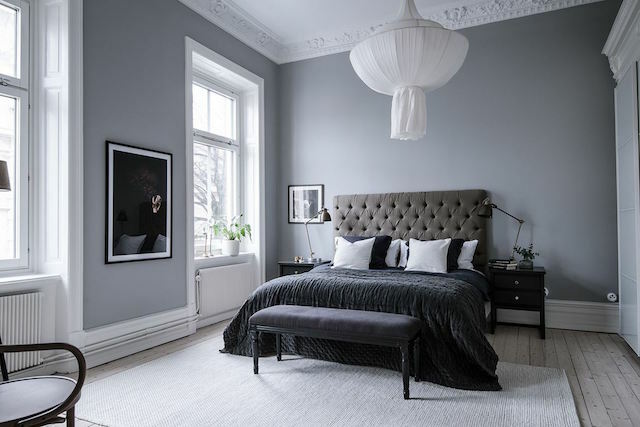 Credits: For sale through @Bjurfors_goteborg Broker: Charlotta Lenhammar. 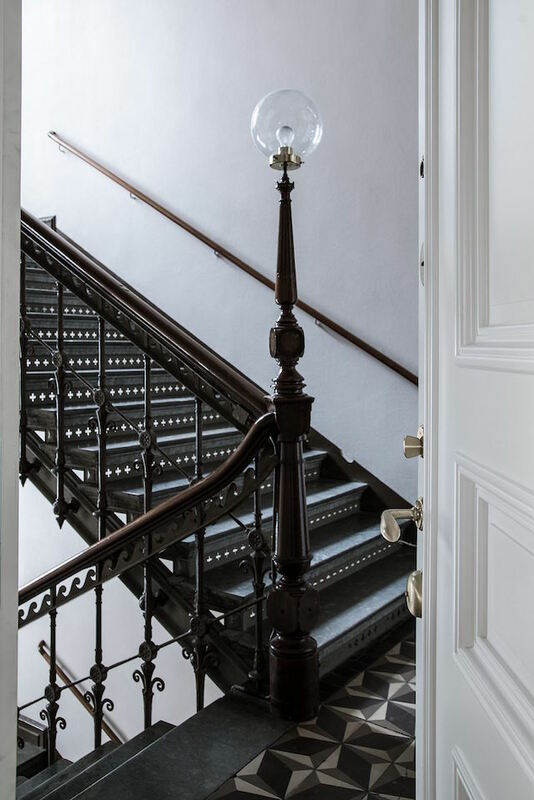 Photo Alen Cordic, styling @by_boninterior. 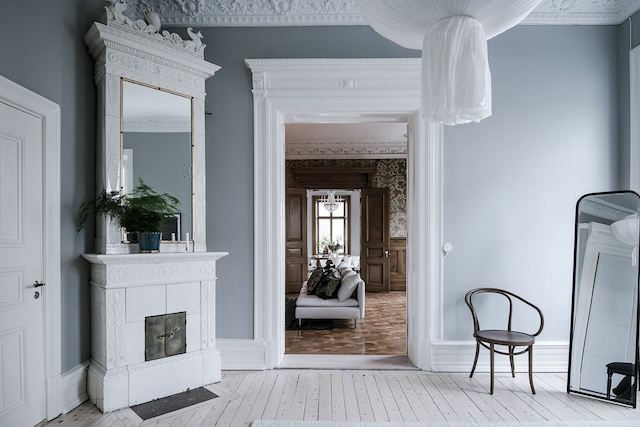 It reminds me of a house I was looking at this morning which is being auctioned in Malmö next week. The property is incredible but the difference is, it's in major need of renovation. The question is - would you take on a project like this? I just don't know if it's for me or not! It's definitely temptin! 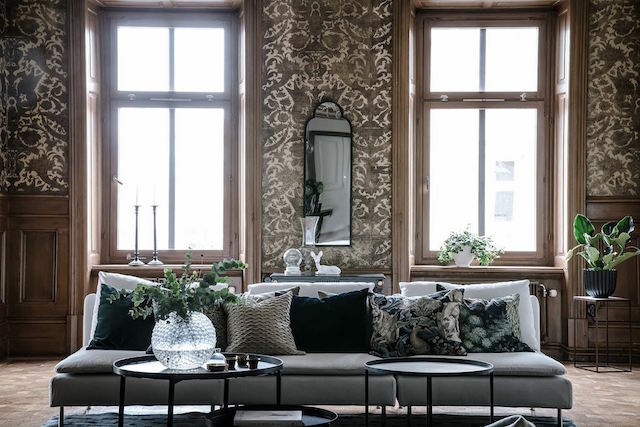 A couple of items I love from this home - söderhamn sofa, white silk chandelier, round vase and bentwood chair. The snow's slowly melting away in the rain today - please don't go! I'm dreaming of breakfast in this spot to raise my spirits- how wonderful? And just how beautiful is this vintage boucherouite rug? PS loved reading your comments on pianos and musical instruments at home yesterday! 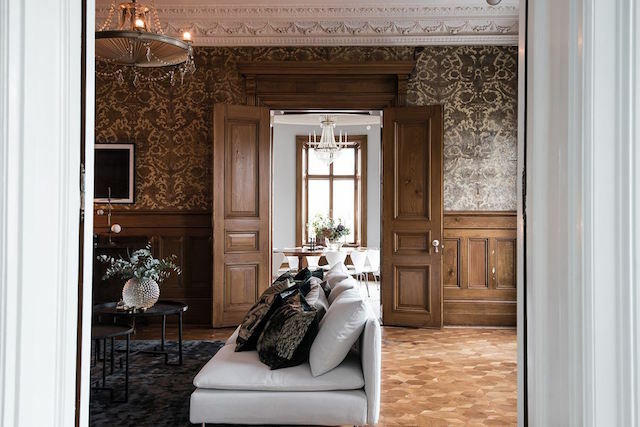 The living room is majestic - wallpaper gives an exclusive feel to it and all rooms have such grand doors and windows!! Adore it! Thanks for sharing!